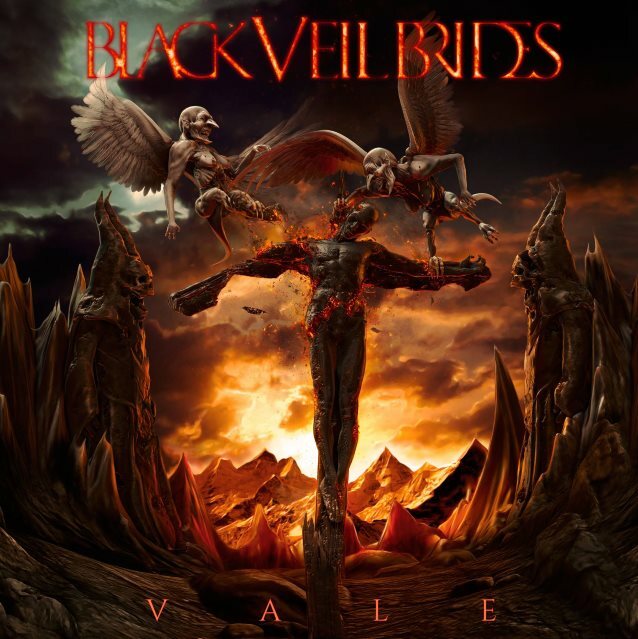 Los Angeles rockers BLACK VEIL BRIDES will release their fifth album, "Vale", on January 12 via Lava/Universal Republic. The follow-up to BLACK VEIL BRIDES' 2014 self-titled effort, which was originally expected to arrive in September, was produced by John Feldmann at his Southern California studio. BLACK VEIL BRIDES frontman Andy Biersack said: "We cannot wait for the BVB army to hear 'Vale' in its entirety! 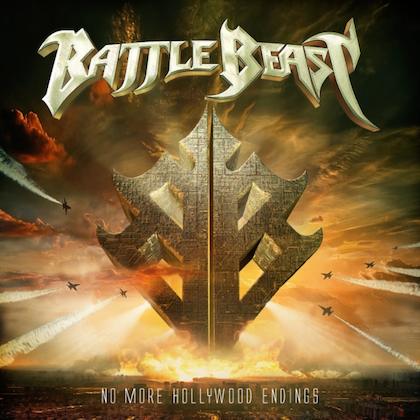 "In my opinion, this record is the most complete and exciting album we have done to date. "The opportunity to work with John Feldmann once again over the course of the past two years creating 'Vale' was an incredible experience and I am thrilled with the collection of songs we have put together as a band. "The Latin translation of 'Vale' is 'be well, be strong!' and central to the message of this record. "We hope to continue to inspire our fans and friends to embrace their own individuality and inner strength. "The central narrative once again finds 'The Wild Ones' characters facing the challenge of moving on from the pain and anguish of their past and looking to a new chapter in their lives. This concept is one that is near to my heart and I believe will resonate with those that find themselves cast on the fringe of society. "From our inception, BLACK VEIL BRIDES have stood up for the outcasts and disenfranchised. With this album, [we] hope to give you hope, fun and most importantly a kickass rock and roll record." Two songs from the disc, "The Outsider" and "My Vow", can be streamed below. During a recent interview with the Rock Sound Podcast, Biersack explained the delay in getting the new disc released. He said: "First of all, we took fifteen months to make the record, and so in that way, we really wanted everything to be as perfect as possible. And the original deadline that we gave ourselves while the record was completed and the mixing was completed, we weren't able to get the artwork and assets and all the stuff together exactly how we wanted it. And while listening to it, there were also elements and stuff I wanted to change. "People don't necessarily understand that when you're on a major label that they determine when stuff is released," he continued. "And so they gave us the initial deadline that they would have preferred we released the record on the first time, and they were just unable to get the assets together, and also on our end, we just weren't quite done at the original time. So we had a discussion with the label and they were in agreement with us that it seemed like we should try to line it up with something big tour-wise." Biersack delved deeper into BLACK VEIL BRIDES' reasons for wanting to take a bit longer to make an album they were all really happy with, explaining: "We've been doing this for a very long time, and it seemed like if we were gonna take time to make a record, it seemed like the right time to really try to sink our teeth into doing something that we really spent time cultivating. Before, it's not to say that we didn't spend time with it, but we were on deadlines and we were also a very young band that people were saying, 'We've gotta get this record out. We've gotta get you on tour.' And we've never really been afforded the opportunity to take our time with something. "We wound up doing it in three different locations with Feldmann, because he wound up moving studios in the middle of the record," he added. "So it was kind of fun record in the sense that I sang the vocals for it in so many different places and I saw so many different rooms and the writing process took place in so many different places while I was on tour, and we were at Jake's [Pitts, guitar] personal home studio for a while. And it was a really fun and interesting way of doing the album over the course of over a year." 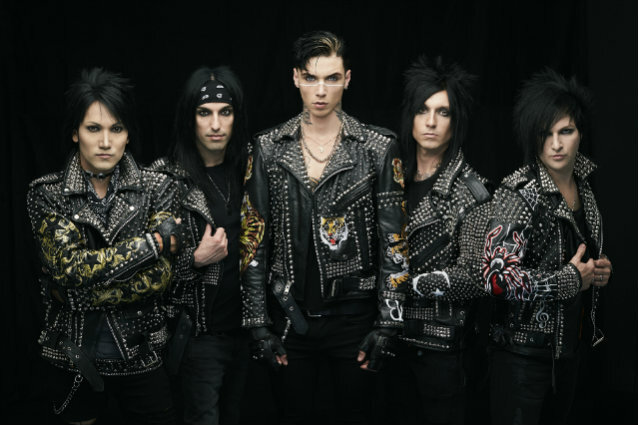 Asked about the overall sound of the new BLACK VEIL BRIDES album, Andy said: "We made 'Wretched And Divine [The Story Of The Wild Ones]' with John in 2013, and that was, at least commercially, our most successful record to date. A song like 'In The End' is probably our most successful song. And so a lot of times, people point to that record as the sound of the band. But what I think is interesting is that we have evolved significantly, I think, from record to record — from the first record to the fifth record. 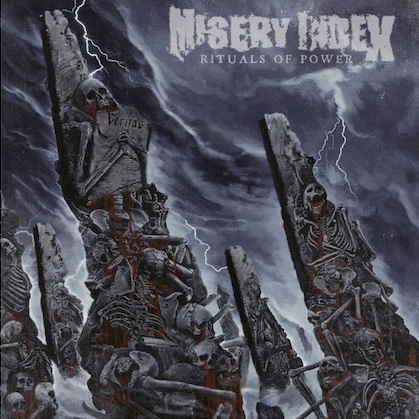 The previous record that we made with [producer] Bob Rock was a much more straight-ahead, hard rock, heavy metal record. I think that this album — and everybody says this, of course, because you want it to be true — but at least for me, I believe that it's a nice combination of many different eras of the band. I think that it represents all the different places that we've been while retaining that Feldmann thing, that thing about Feldy that I don't think anybody else can even touch or come close to; he just knows how to make things huge. And writing with Feldy is one of my favorite things, so to be able to come back into the world of doing heavy, darker rock music after doing a pop record together [with ANDY BLACK]. BLACK VEIL BRIDES will embark on a North American co-headline tour, dubbed "The Resurrection Tour", with ASKING ALEXANDRIA, kicking off January 10 at The Complex in Salt Lake City, Utah, rolling through major markets coast to coast, and concluding in Las Vegas, Nevada at House of Blues on March 2. CROWN THE EMPIRE will act as support on all dates.